1. Whisk together the Almond Flour, Gluten Free Flour Blend, Baking Powder, Chia Seeds, and Salt. 2. When well combined, using a pastry cutter cut in the Coconut Oil as you would for a pie crust or scones, until the mixture is a delicate crumbly blend and the oil is well dispersed throughout. 3. Next combine the Almond Milk, Vanilla, Coconut Sugar, and Banana in a blender and puree until smooth. 4. Pour the wet mixture into the dry mixture and fold to combine, being careful to not over mix. 5. Finish, by folding in the Blueberries and Pecans. 6. 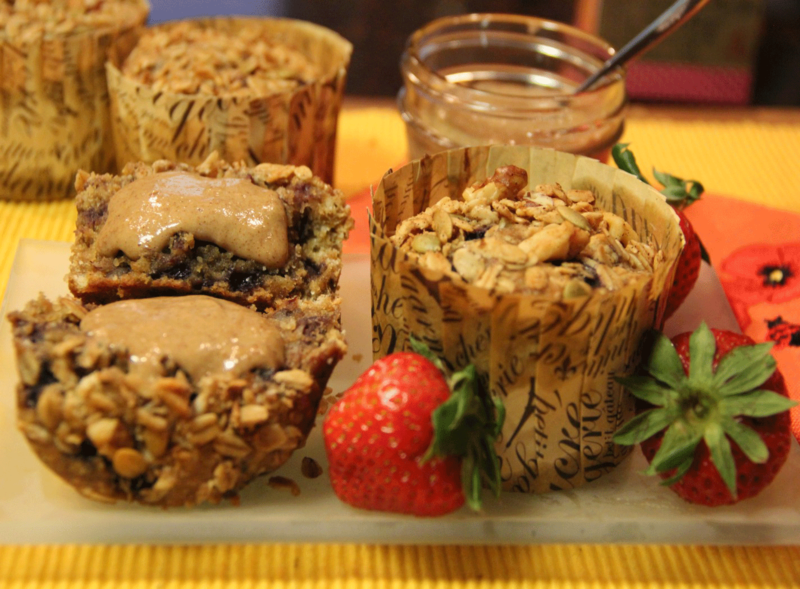 Using ice cream scoop, place batter in oiled muffin tins and top with a sprinkling of your favorite Granola. These muffins are nutrient rich, dense, and have a great deal of texture. Allow them to set for 10-15 minutes before taking them out of the pans or liners. They are nourishing and perfect for a healthful breakfast on-the-go. 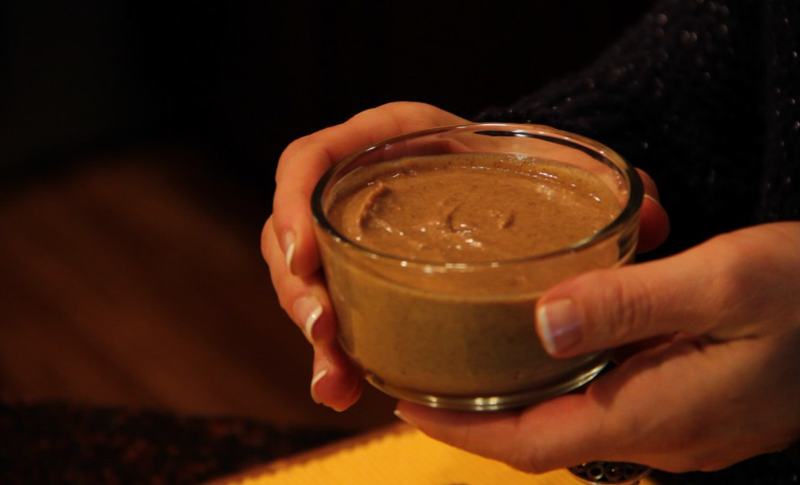 We made the following spread as a delicious alternative to butter. Whisk together the above ingredients, and bask in the goodness!